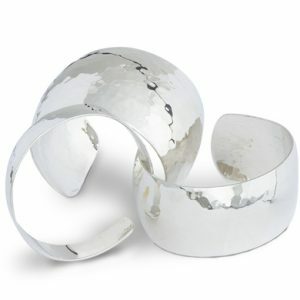 Handmade Silver, platinum and Gold Bangles from our Ditchling workshops in Sussex. 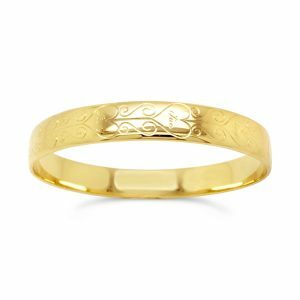 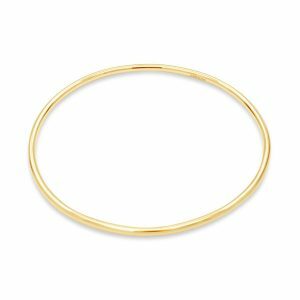 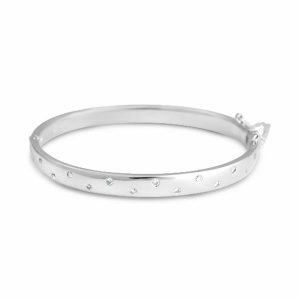 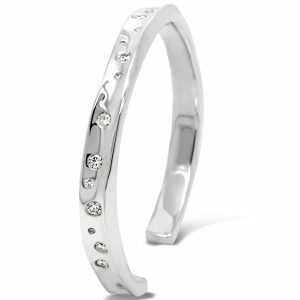 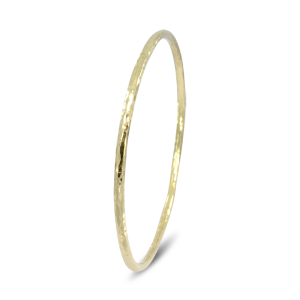 A bangle must be large enough to go over the hand or be hinged for a snug fit. 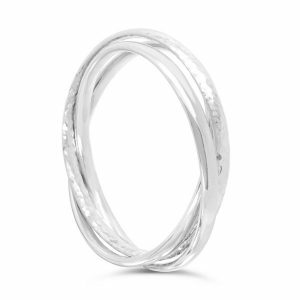 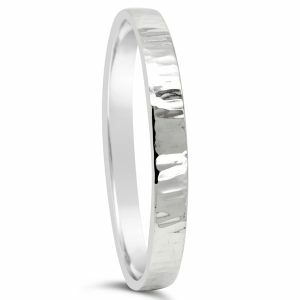 We design and make a wide selection in silver gold and platinum. 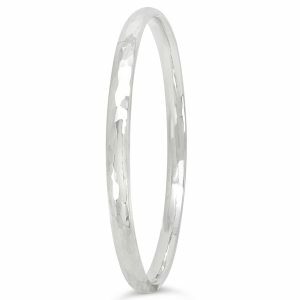 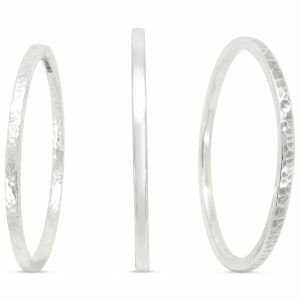 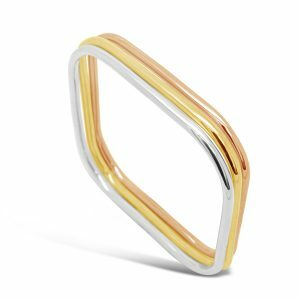 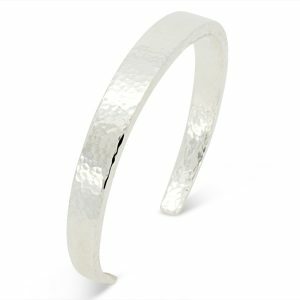 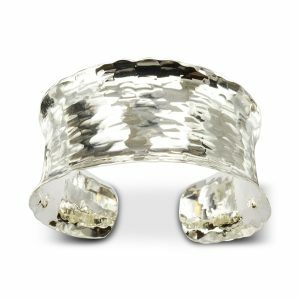 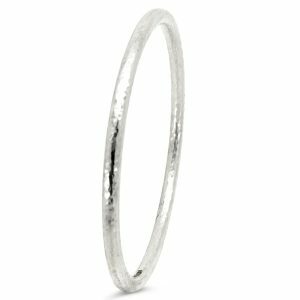 All our Bangles are made in solid silver, gold or platinum rather than being hollow. 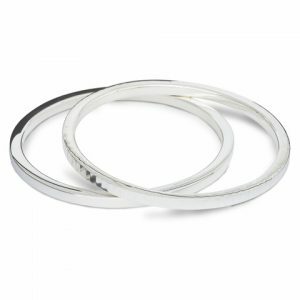 This gives them a lovely weight and ensures that they do not bend or crush with time. 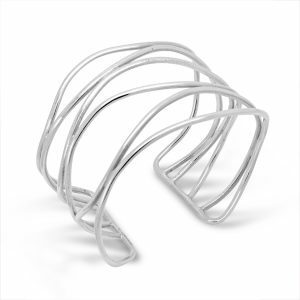 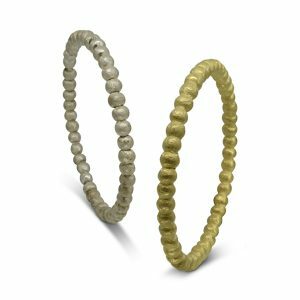 Our bangles come in a variety of section shapes and weights: round, square, oval, court, D-section, rectangular. 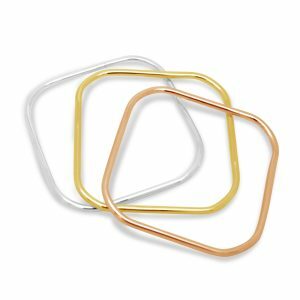 Off the shelf they come in 4 sizes: small 60mm ID, medium, 64mm ID, Large 68mm ID and extra large 72mm ID. 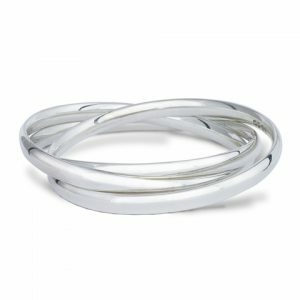 Other sizes and hinges can be made to order. 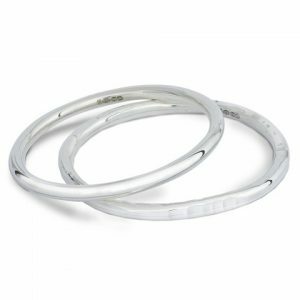 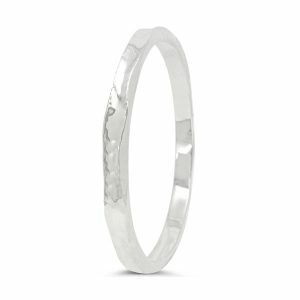 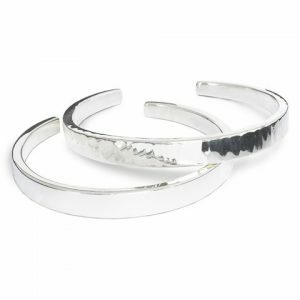 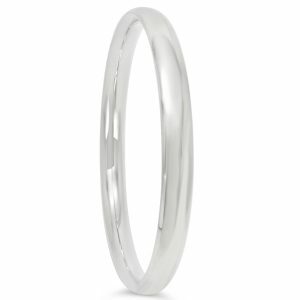 We make a variety of interesting finishes: from smooth highly polished a brushed or matt finish can be added to any bangle. 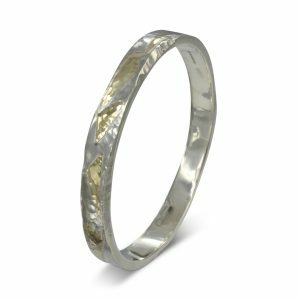 We also have a number of different hammering finishes that we add from the intensely dense small marks of “peening” to the broader marks of “planishing” and the sculpted finish of “side hammering”. 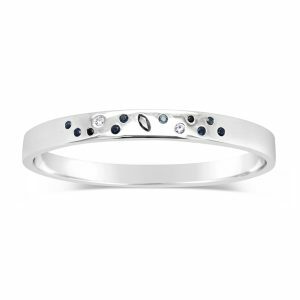 These can then be set with diamonds and gemstones of your choice. 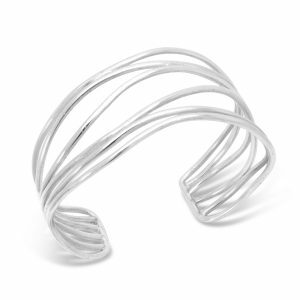 See below for lots of ideas. 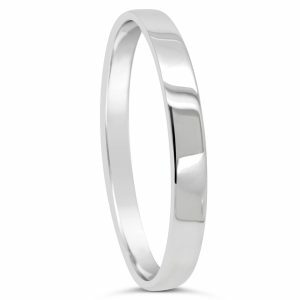 If you don’t see exactly what you would like then contact our designers for a quote. 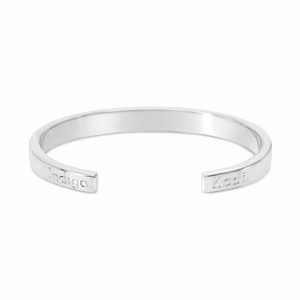 Personalise your Bangle with some engraving or stone setting.